NEW PRICE! Lake Lovers Dream! MOVE IN READY! This fully FURNISHED and tastefully decorated 2 bedroom 2 full bath condo has big water views of Lake Norman, one of the pools and the beach from the spacious covered rear deck. Tennis and the marina are in view and just steps from the covered front deck. All new SS appliances have just been installed and never used! Walking/Biking distance to restaurants and very close to Birkdale and downtown Cornelius for more shopping, drinks and entertainment. 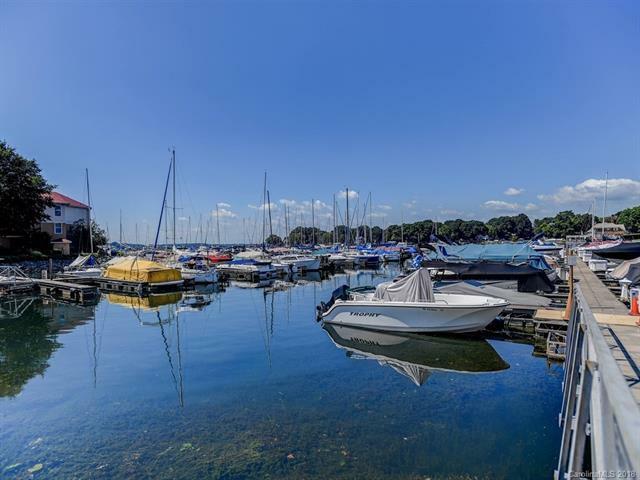 This gorgeous waterfront condo is completely ready to be your lake/vacation home or investment rental right down to the coffee pot, dishes, sheets and towels that are included at no charge as a special incentive. 25 miles from Charlotte Douglass International airport. Close to I-77, I-85 and 485. There is a boat rental club/Freedom boat club in the community!